Feilding High School is proud to have two farms, Manawanui and Ngakaunui, used for teaching. Both farms are run in conjunction by the farm manager. Students who take Agriculture courses at Years 10-12 are rostered onto Farm Duty which involves working on the farms throughout the day for 2 days a week. Students carry out the daily tasks required to run the units: assisting with the running and cleaning of the robot milking system, setting up break fences to control grazing on the 3 way grazing system that the robot system , rearing calves, docking, drenching, crutching, shearing, and fencing. etc Owning farms and offering hands on aspects of Agriculture courses is one of many significant points of difference that Feilding High School has to to offer. 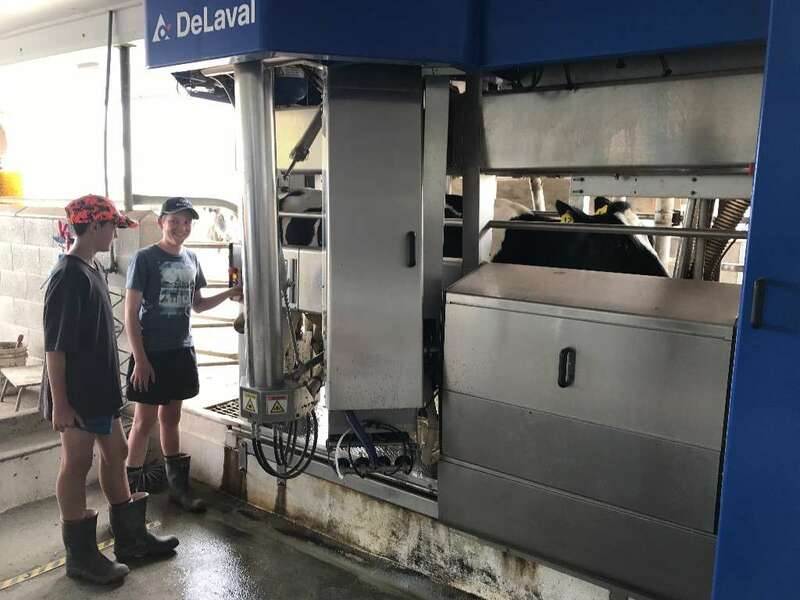 The introduction of a DeLaval VMS (Voluntary Milking System) robot has added a new dimension to the history of the school. When introduced in October 2016, Feilding High School was the first school in the Southern Hemisphere to have adopted this amazing technology. Manawanui is an 81.3 ha sheep and cattle farm on flat to steep hill country on the outskirts of Feilding. The dairy herd from Ngakaunui is wintered/summered on Manawanui and returned just prior to calving. Ngakaunui is a 16 ha dairy farm adjacent to the school on Churcher St. Presently it is carrying 60 Friesian cows and we are now milking all year with split calving. Students on farm duty start their day here at 8am to assist setting up the break fence for an 8am gate change, clean the yards and from there continue with the daily tasks of the season. It is run in conjunction with Manawanui, where replacement stock are raised, supplements made and the dry cows carried after drying off through to calving. Students Tyler Reay and Levi Stewart looking at production data from Cow 12. 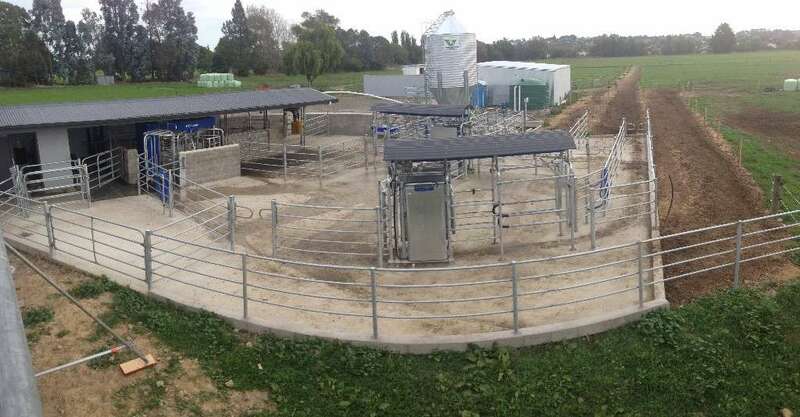 The yard system at Ngakaunui dairy showing the two 3 way smart gates, lanes, feed silo and robot.